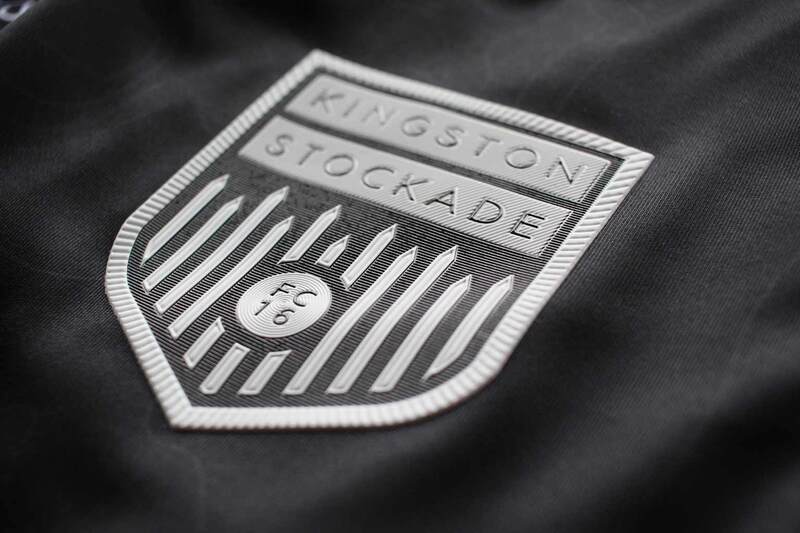 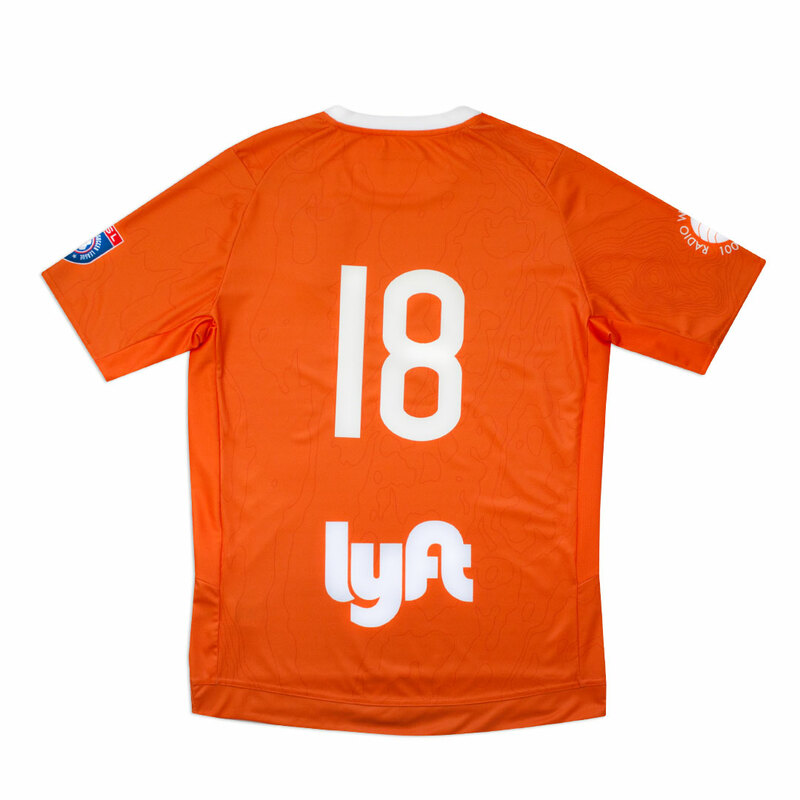 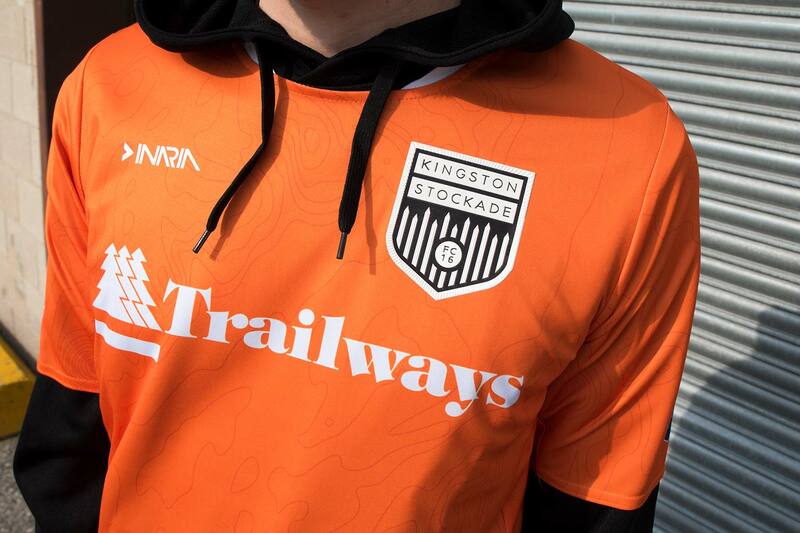 Kingston Stockade, a semi-pro men’s team from upstate New York playing in the NPSL, releases its kits for 2018 featuring an all-over sublimated pattern representing the topography of their hometown and calls reference to its Dutch roots via the orange splashes throughout. 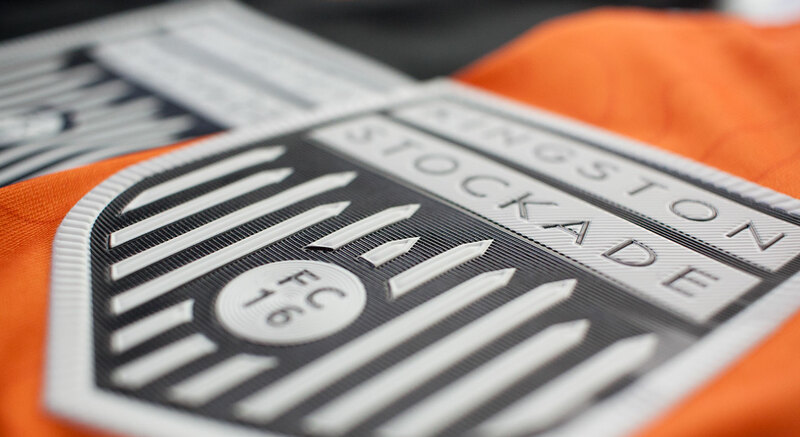 The crest is one of INARIA’s latest releases featuring a mix of TPU textures, giving the kits an added element of richness. 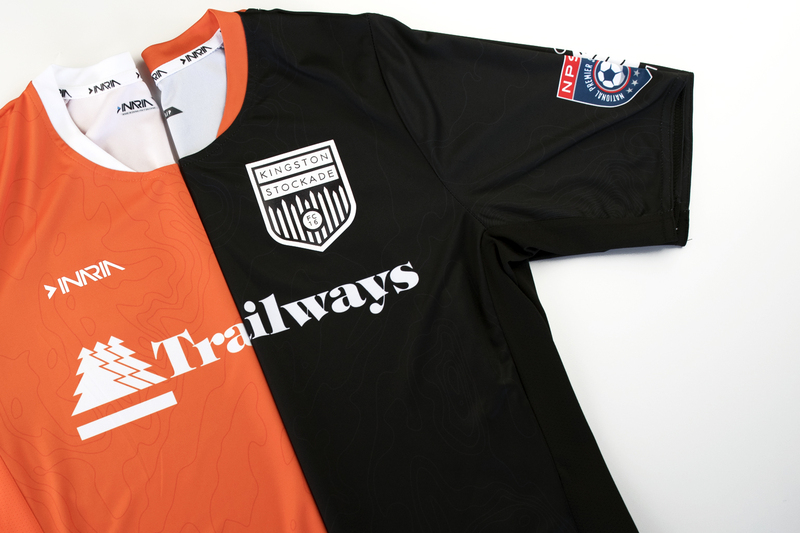 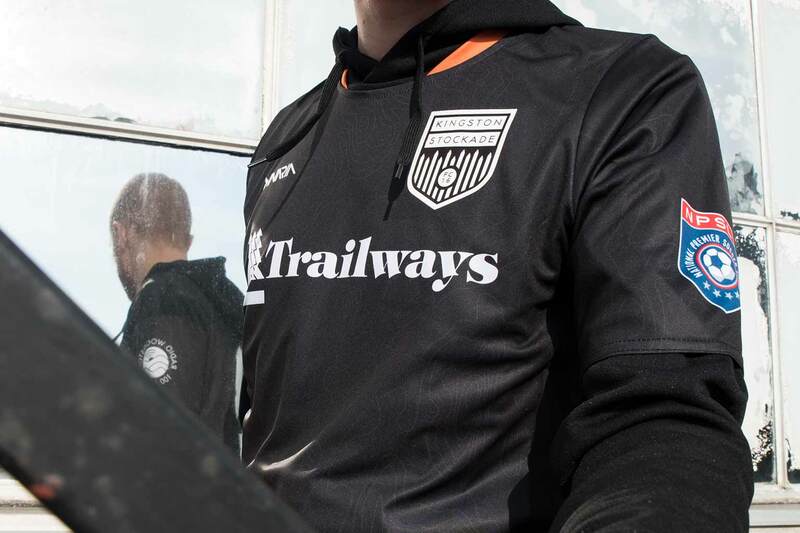 Both the orange and black kits come in a new silhouette, Inizio, which features a styled crew-neck, side mesh and underarm panels and combination sleeves. 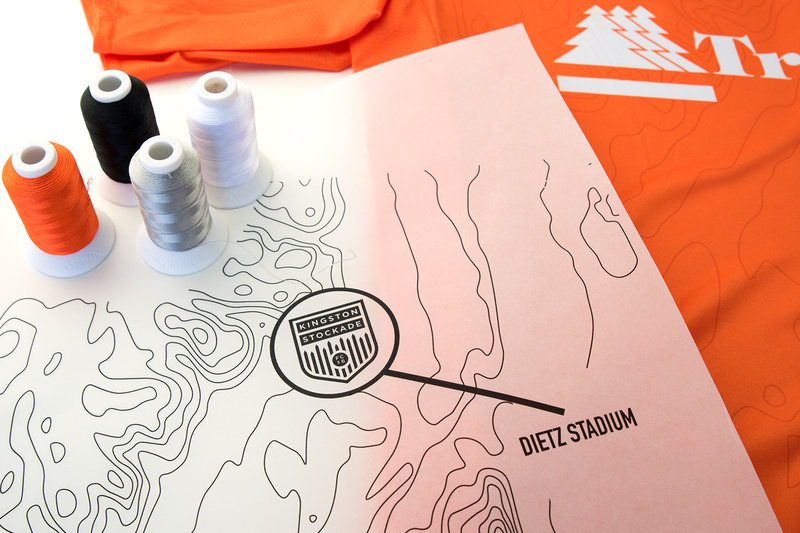 A separate band at the bottom opening, lined with self fabric taping, gives the piece some solid color for balance. 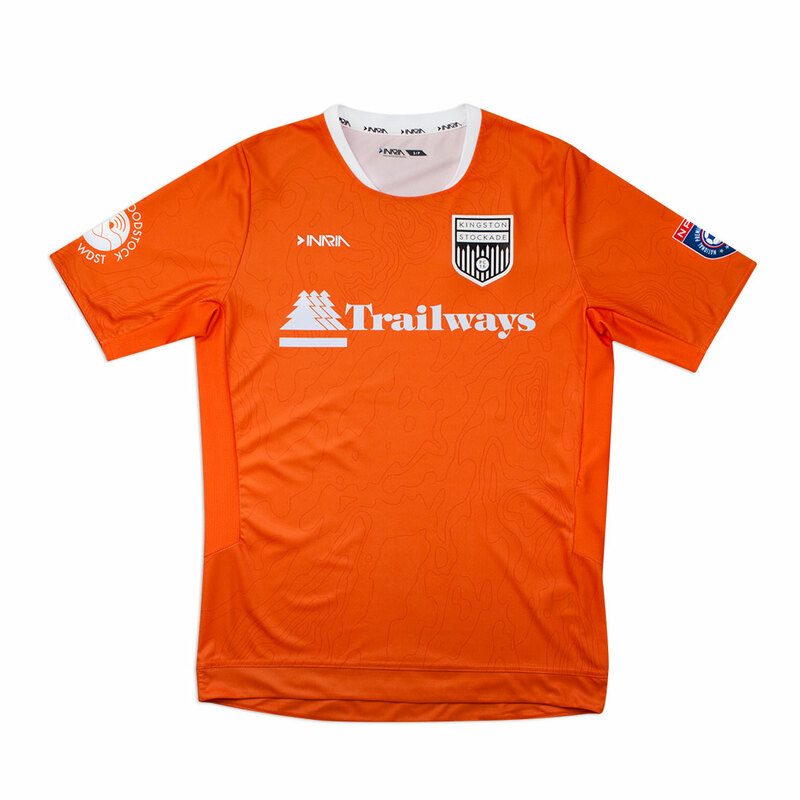 Topograhy I (Orange Kit) features two orange family pantones, PMS 165C as the base with PMS 173C overlay to create the tonal effect. 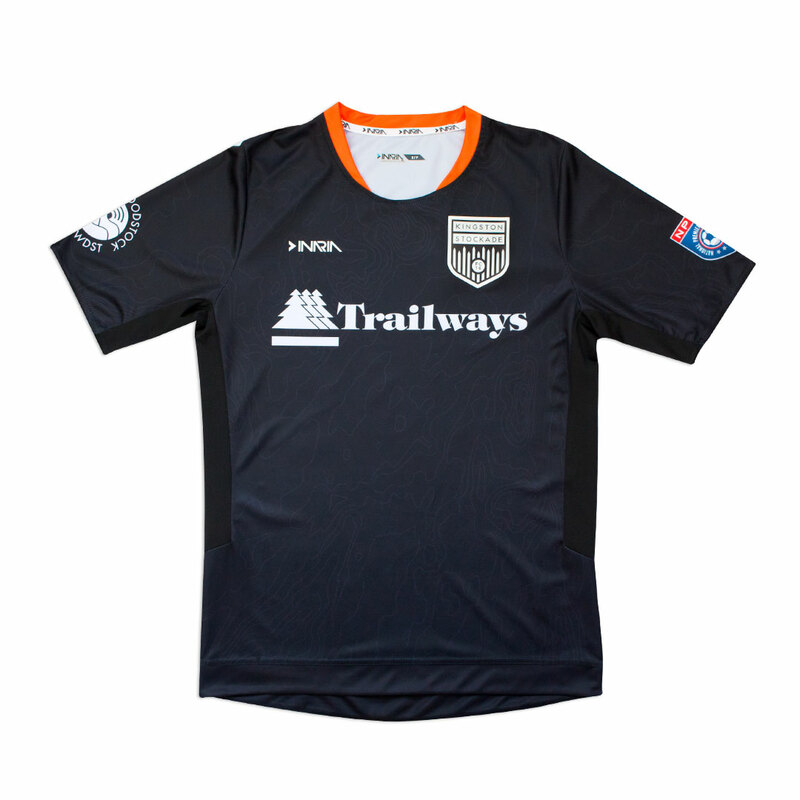 Topography II (Black Kit) features all-over sublimation with a 90% black topography pattern on top of 100% Black base, with dyed black side mesh & underarm panels. 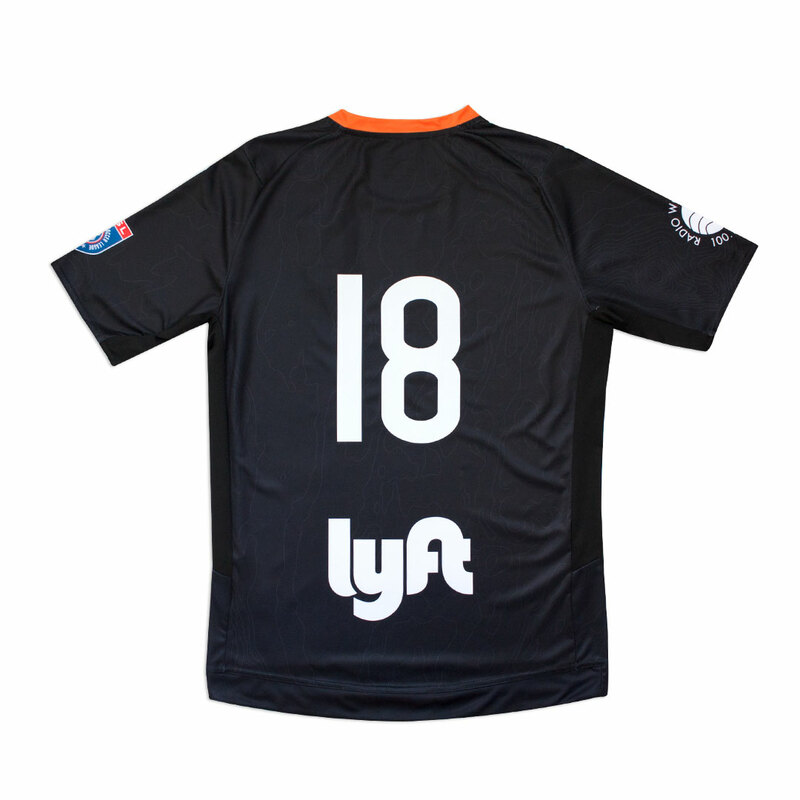 Sublimated sponsors and league patch, LIGA font numbers in Premium Vinyl.